The 1990 FIFA World Cup was held in Italy. Twelve city stadia were selected to host the World Cup matches. Rome (Stadio Olimpico ), Milan (San Siro ) ,Naples (Stadio San Paolo), Turin (Stadio delle Alpi), Bari (Stadio San Nicola), Verona (Stadio Marc'Antonio Bentegodi), Florence (Stadio Comunale), Caglairi (Stadio Sant'Elia), Bologna (Stadio Renato Dall'Ara), Udine (Stadio Friuli), Palermo (Stadio La Favorita), and Genoa (Stadio Luigi Ferraris). Teams representing 116 national football associations initially entered the competition and due to rejected entries and withdrawals, 103 teams eventually participated in the qualifying stages. Twenty two (22) teams qualified from this process, along with host nation Italy and defending champion Argentina. 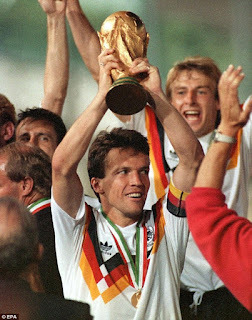 The 1990 FIFA World Cup TM became one of the most watched events in television history, garnering an estimated 26.69 billion non-unique viewers over the course of the tournament. 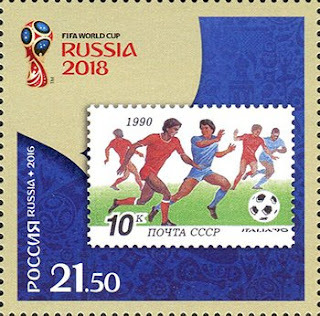 The qualifying teams were: Austria, Belgium , Czechoslovakia, England, Italy (hosts), Netherlands , Republic of Ireland, Romania , Scotland, Soviet Union , Spain, Sweden, West Germany, Yugoslavia Argentina (defending champions), Brazil, Colombia , United States, Uruguay South Korea, , Egypt, and Cameroon. United Arab Emirates, Costa Rica, and Republic of Ireland qualified for the first time. The opening match between Argentina and Cameroon was played at the Milan /Giuseppe Meazza, and had the 73,780 spectators on the edge of their seats. 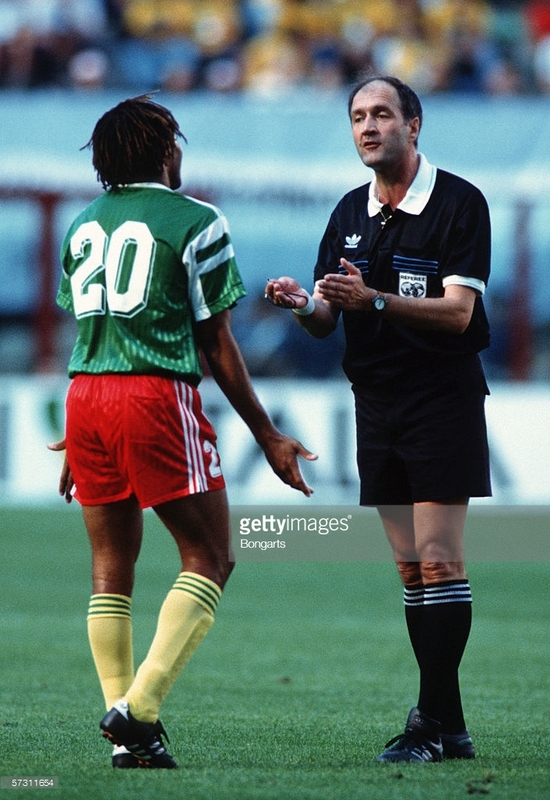 The game was physical and with plenty contact suffice, the French referee Michael Vautrot, to send off two Cameroon players but such was the African nation’s superiority over the defending champions, they finished the victors (0-1), causing the biggest shock in a World Cup since Algeria’s 2-1 defeat of West Germany in the opening phase in Spain in 1982 . Whilst squads were again restricted to 22 players, at the discretion of FIFA replacement of injured squad players was permitted during the tournament. Two goalkeepers i.e. 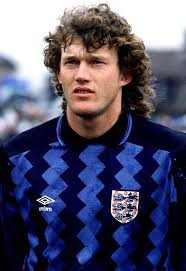 Ángel Comizzo (Argentina) and Dave Beasant (England) replaced injured players (Nery Pumpido and David Seaman). FIFA also introduced a pre-match Fair Play Flag, inscribed with "Fair Play Please" to encourage fair play. 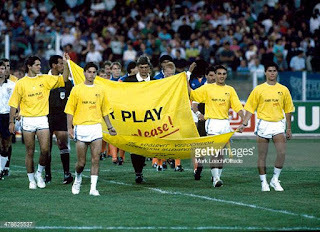 Ironically this competition would produce 16 red cards, including the first ever dismissal in a final. This was twice as many red cards as the 1986 FIFA World Cup TM in Mexico. 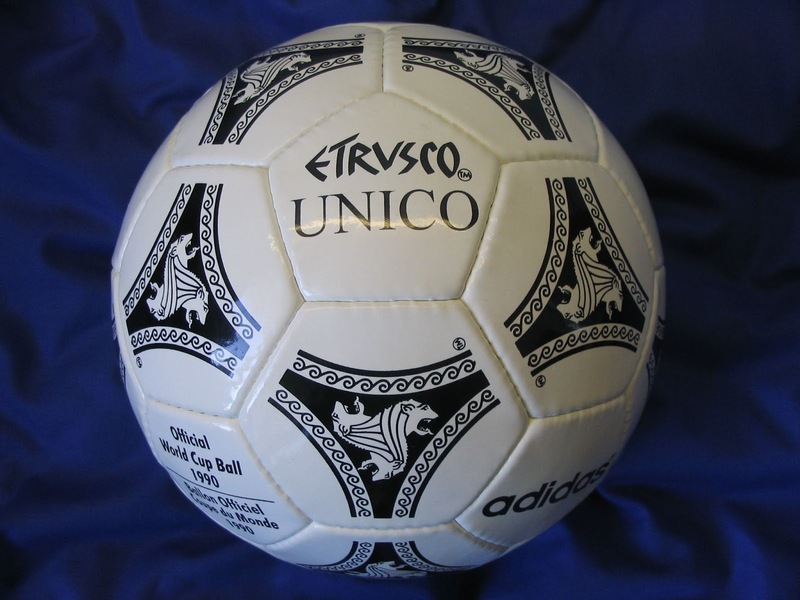 The official match ball was the Adidas Etrusco Unico. The name and intricate design was inspired by Italy’s ancient history and the fine art of the Etruscans. Three Etruscan lion heads decorated each of the 20 Tango triads. It was the first ball with an internal layer of black polyurethane foam. Unfortunately, in terms of records this was the lowest scoring World Cup with 115 goals scored equating to an average of 2.21 goals per game . To correspond with the World Cup, adidas sold football boots which incorporated some of the design elements of the ball including the triads of the ball with the lion heads, along with the Etrusco Unico script were reproduced on the tongue. 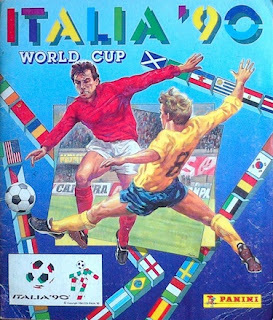 The games were played in Italy's intense summer heat with temperatures sometimes in the high 80's to low 90's F (30-34 C). 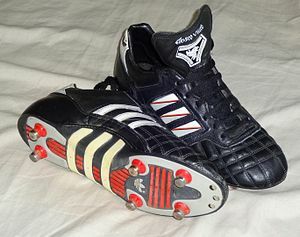 Some kick offs were scheduled later in the day to allow the temperatures to drop. The group stage was organized to allow groups to play their games in two cities geographically close to each other. 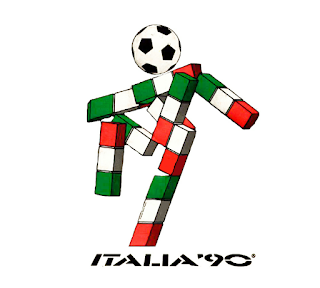 Group A only played in Rome and Florence, Group B played their matches mainly in Naples and Bari, Group C played their matches in Turin and Genoa, Group D played all their matches in Milan and Bologna, Group E played only in Udine and Verona, and Group F played on the island cities of Cagliari and Palermo. 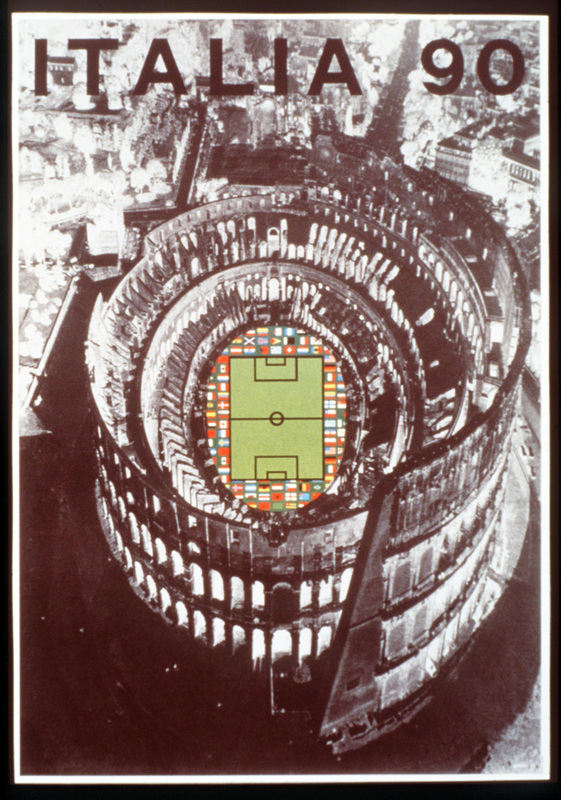 Rome and Milan hosted the most World Cup matches: each hosting 6 matches, and Bari, Naples, and Turin each hosted 5 matches. Cagliari, Udine and Palermo were the only cities of the 12 selected that did not host any knockout round matches. To avoid problems with rowdy English fans, at the request of the British government, the England national team, were forced to play all their matches in Cagliari on the island of Sardinia. The arrangement proved justified as there were several riots during the time England were playing their matches in Cagliari, leading to a number of injuries, arrests and even deportations. The qualifying twenty-four teams divided into six groups of four teams. Each group was a round-robin of six games, where each team played one match against each of the other teams in the same group. Teams were awarded two points for a win, one point for a draw and none for a defeat. The teams coming first and second in each group qualified for the Round of 16. The four best third-placed teams would also advance to the next stage. Based on a formula on the teams' respective showings during the previous two World Cups, FIFA identified six seeded teams and allocated them to the six groups in order of their seeding rank (1st seed to Group A, 2nd seed to Group B, etc.). Spanish officials believed the seeding was contrived to ensure England would be placed in Group F, the group to be held off the Italian mainland, in a bid to contain England's hooliganism problems. These allegations were categorically denied by FIFA. 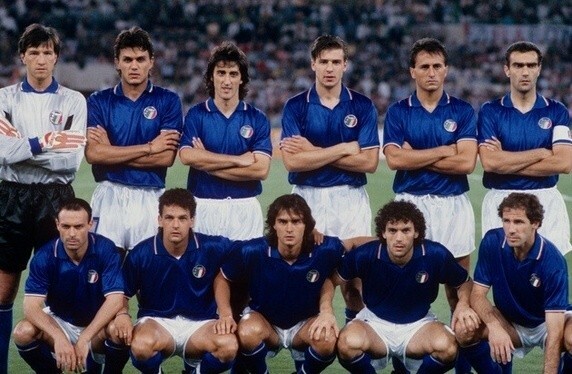 Hosts Italy, won Group A with a 100 percent record and were joined by Czechoslovaks in the next round. Cameroon won Group B, and advanced to the second round, along with Romania and World Cup holders Argentina. The Soviet Union failed to advance. In Group C, Brazil took maximum points from the group and Costa Rica also qualified. Sadly Scotland's 2–1 win over Sweden was not enough to save them from an early return home as one of the two lowest-ranked third-placed teams. West Germany topped Group D and advanced to the second round, along with Yugoslavia and Colombia. The winners of Group E were Spain, in an unbeaten group campaign. Belgium won their first two games against South Korea and Uruguay to ensure their progress; Uruguay's advance to the second round came with an injury time winner against South Korea to edge them through as the weakest of the third-placed sides to remain in the tournament. 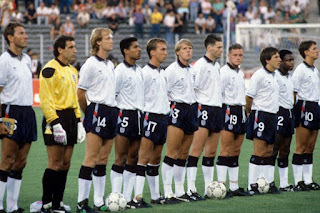 Group F had the most draws (five) of any "group round" in World Cup history and England topped the group and advanced to the next stage with Northern Ireland and the Netherlands. The Republic of Ireland reached the quarter-finals without winning a single game (four draws, with a penalty shoot-out win over Romania in the second round). This is the furthest a team has ever advanced in the World Cup without winning a game. 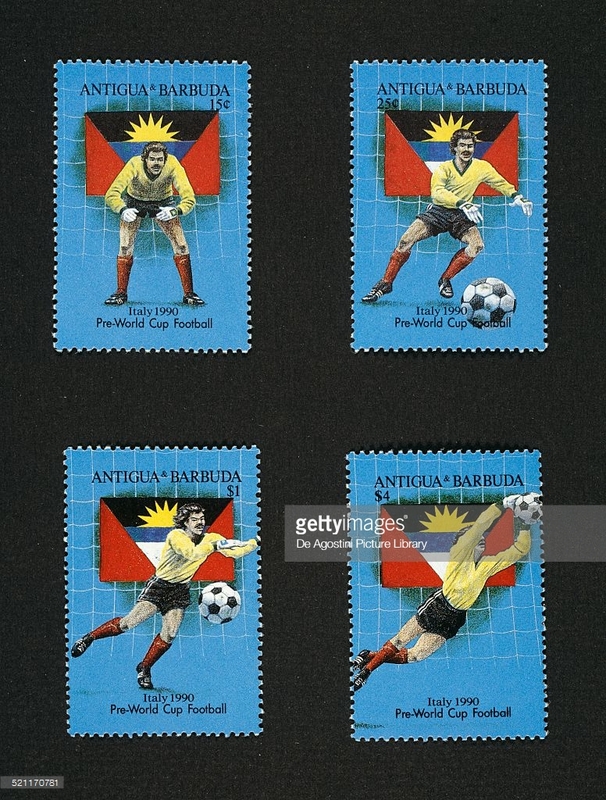 FIFA Referees dress only in traditional black jerseys at a World Cup but wore red shirts for two Group C games in which Scotland wore their navy blue strips. The general lack of goals in the tournament did cause some concerns. Many of the matches involved defensive tactics with coaches keen to pace the opposition for 120 minutes, then rely on their teams’ luck in the penalty shoot-out. Eight matches went to extra time, with four penalty shoot-outs. Republic of Ireland scored just twice in five games and drew all their matches until they reached the quarter-finals. Argentina, scored only five goals in the entire tournament and advanced twice on penalty shoot-outs. 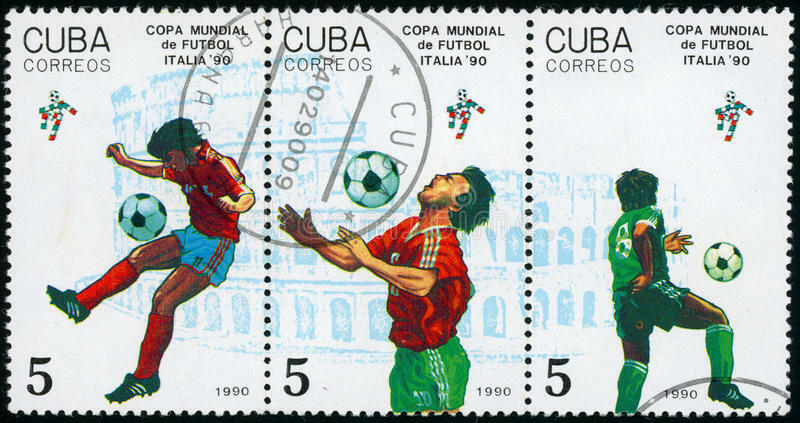 More countries issued postage stamps commemorating the FIFA World Cup TM 1990. Many now from countries competing in the final tournament. Panini also issued their ever-popular sticker collection and album. 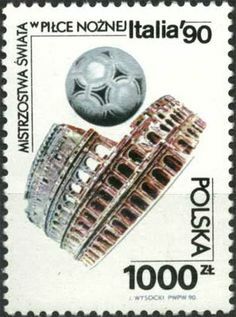 A new football inspired accessory began to creep with the increased popularity of arcade computer games. Still very much in their infancy in the 80s by the next World Cup football games were to become very sophisticated. The knockout stage involved four rounds of matches, with each round eliminating half of the teams entering that round. For each game in the knockout stage, any draw at 90 minutes was followed by 30 minutes of extra time; if scores were still level there would be a penalty shoot-out (five penalties each, if neither team already has a decisive advantage, and more if necessary) to determine who progressed to the next round. 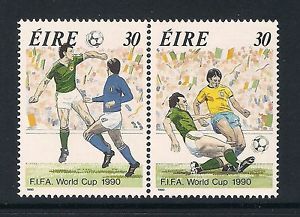 Two of the ties had former world champions compete against each other with Brazil versus Argentina; and a rematch of the 1974 World Cup final when West Germany met the Netherlands. At the Stadio delle Alpi, Turin, in intense heat, Argentina beat Brazil 1- 0 in front of 61,381 spectators. 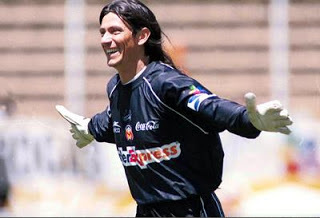 The goal scored by Claudio Caniggia, came against the run of play and after an Argentinian player was injured. 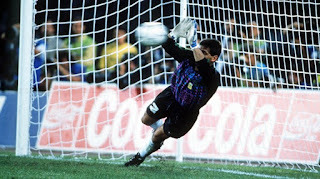 During this interruption Branco (Brazil) drank from a bottle supplied by Argentina's physio Miguel di Lorenzo and it was later claimed the drink had been spiked with tranquillisers. The allegations were denied and no further action was taken however much later Argentina's coach, Carlos Bilardo, appeared to imply they were true. The match between West Germany and the Netherlands was held at San Siro, Milan in front of 74,559 spectators. 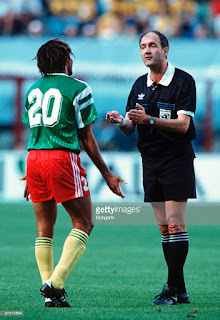 The game was not without incident and both Rudi Völler (West Germany) and Frank Rijkaard (the Netherlands) were given red cards after a number of incidents, As the players left the field of play together, Rijkaard spat on Völler a second time. West Germany won 2-1. 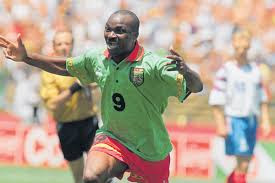 At the Stadio San Paolo, Naples in front of 50,026 people Cameroon beat Colombia 2 -1 with both goals for Cameroon scored by Roger Milla. 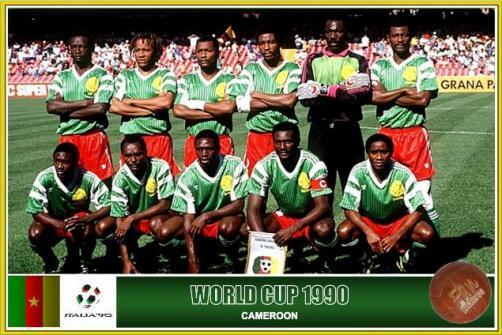 Cameroon became the first African team ever to reach the World Cup quarter-finals. The quarter finalists were Argentina, England, Italy and West Germany, all previous World Cup winners. 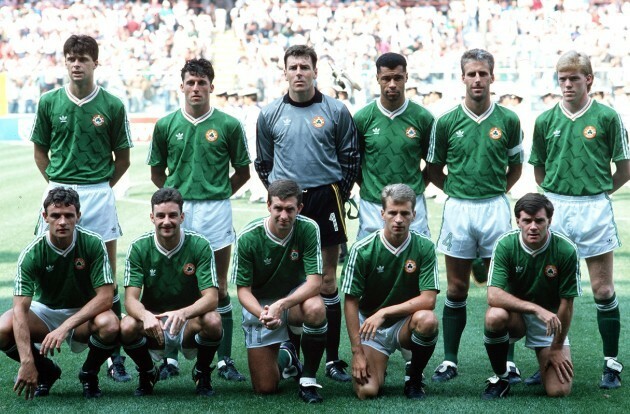 They were joined by Yugoslavia, Czechoslovakia, Cameroon and the Republic of Ireland. 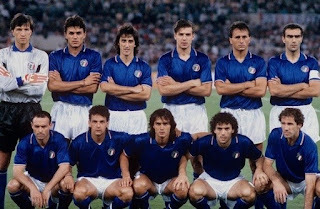 The largest crowds went to see hosts Italy beat the Republic of Ireland at the Stadio Olimpico, Rome, where the attendance was 73,303; and at the San Siro, Milan in front of 73,347 West Germany beat Czechoslovakia with a 25th minute Lothar Matthäus penalty. 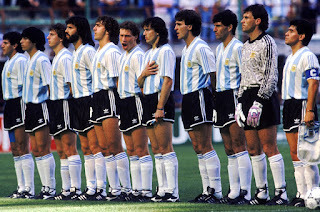 After a penalty shoot-out, Argentina beat Yugoslavia 3–2. The quarter-final between England and Cameroon was the only quarter-final to produce more than one goal. Cameroon came within eight minutes of reaching the semi-finals before then they conceded a penalty, which Gary Lineker converted. 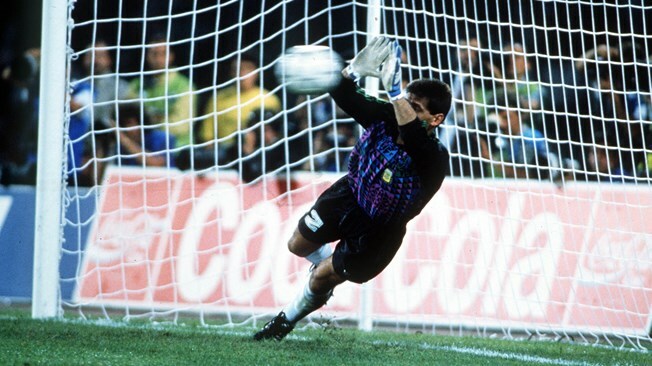 The game went to extra time and Lineker again converted a penalty to allow England to progress to the semi-finals. The hosts played Argentina in Naples at Stadio San Paolo, in front of 59,978 people. The game stood at a 1 all draw after extra time and went to penalties to decide the winner. 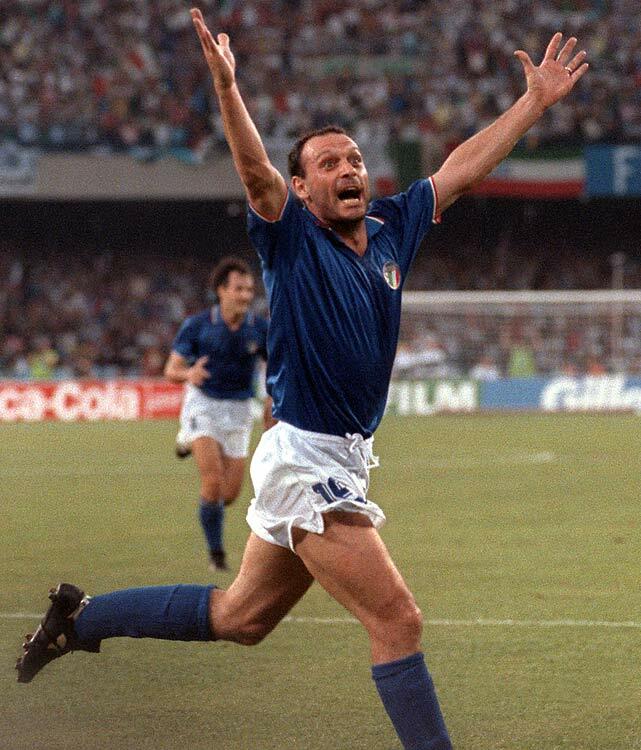 Argentina eventually beat Italy 4-3. The second semi final between West Germany and England was at Stadio delle Alpi, Turin (attend: 62,628). After 90 minutes the tie ended 1–1. 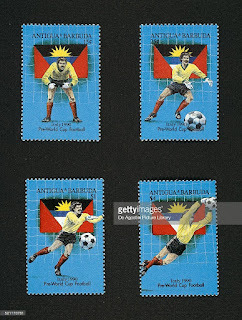 The match eventually went to penalties, and West Germany won the shoot-out 4–3. 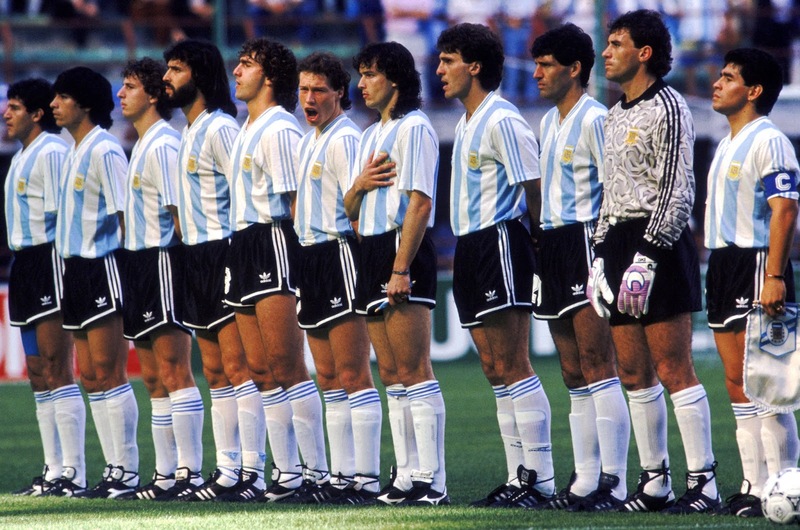 In the final, a rematch of 1986 final, at the Stadio Olimpico, Rome, in front of 73,603 people, West Germany beat Argentina 1–0 to record their third title. Argentina were the first team to fail to score in a World Cup Final. In total, 115 goals were scored by 75 different players (none credited as own goals). The Golden Boot was awarded to Salvatore 'Toto' Schillaci (Italy ) for scoring six goals in the World Cup.